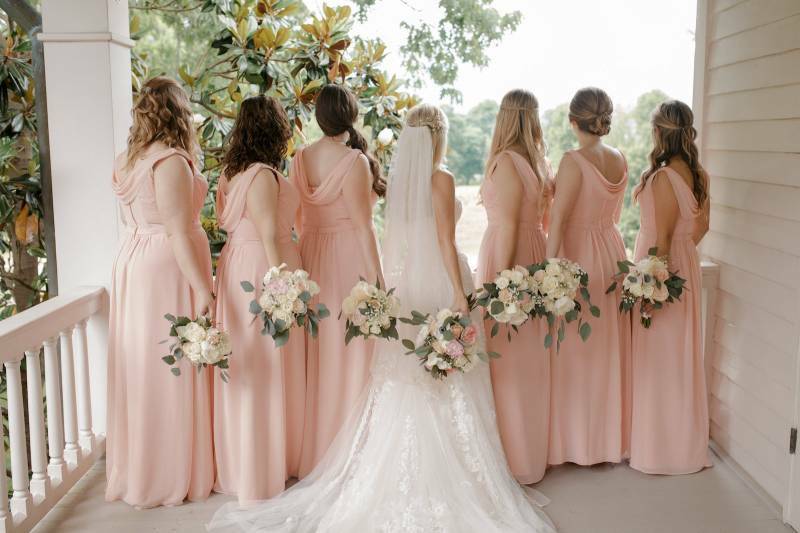 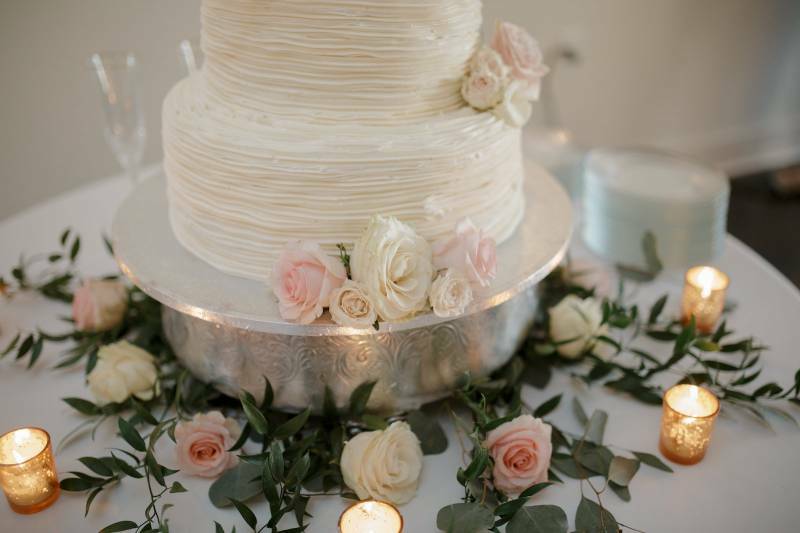 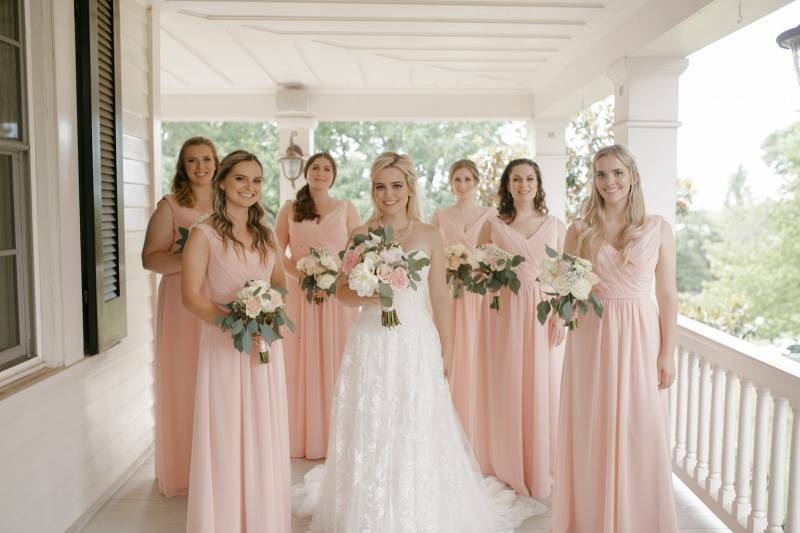 A soft color palette mixed with rustic charm, Morgan and Ryan's wedding day at The Adalea was simply stunning. 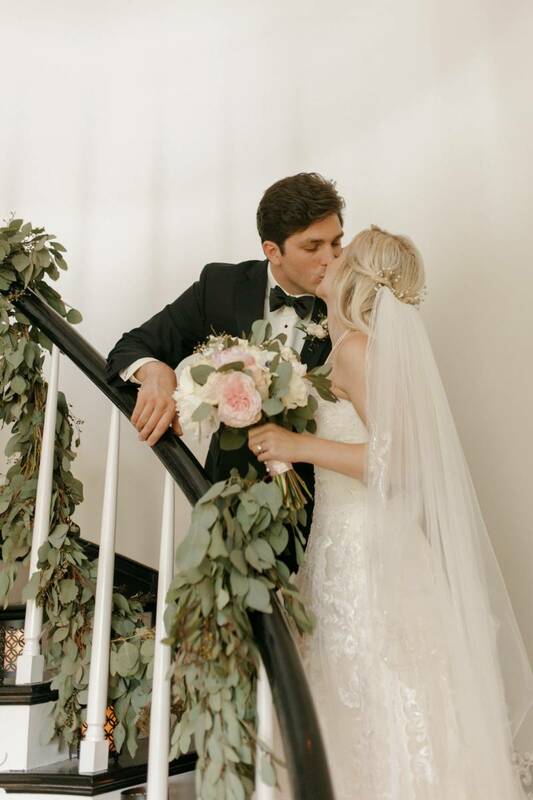 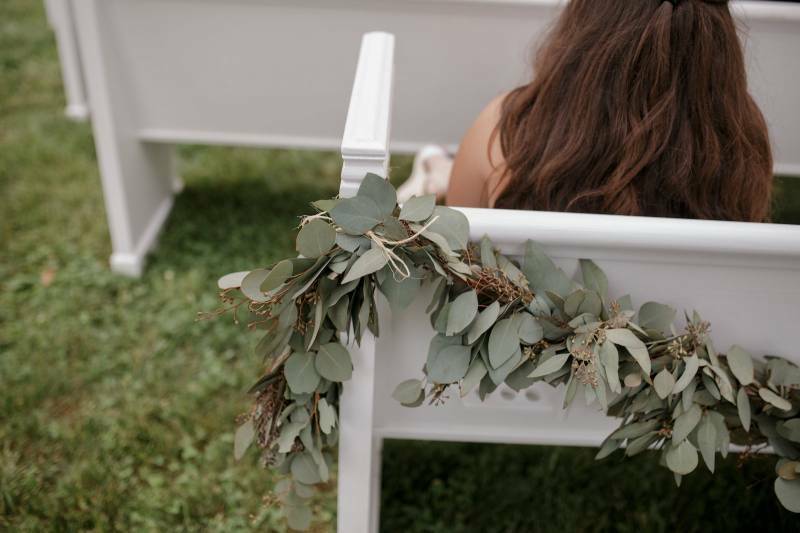 With a classic, romantic vision in mind, T. Villager Designs complimented their request with beautiful wedding flowers and luscious greens, including a large greenery wreath that was the focal point of their wedding ceremony decor. 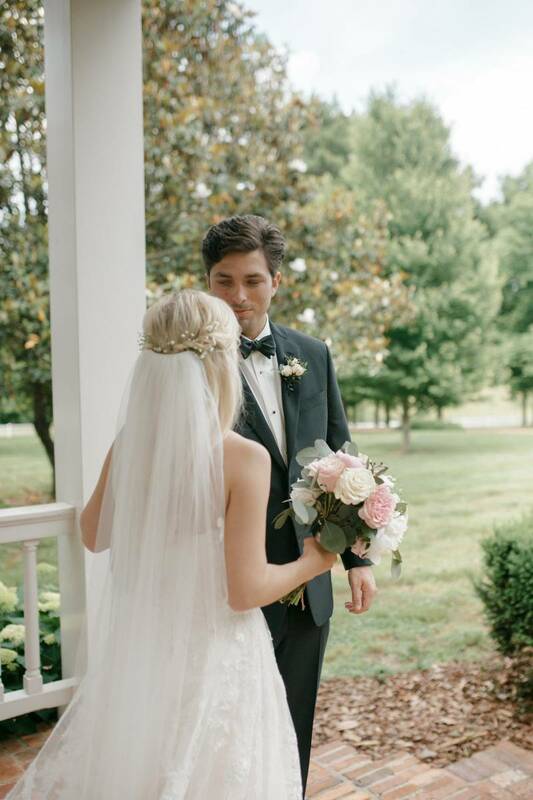 Lindsey O Photography captured all the sweetest moments that are bound to warm your heart. 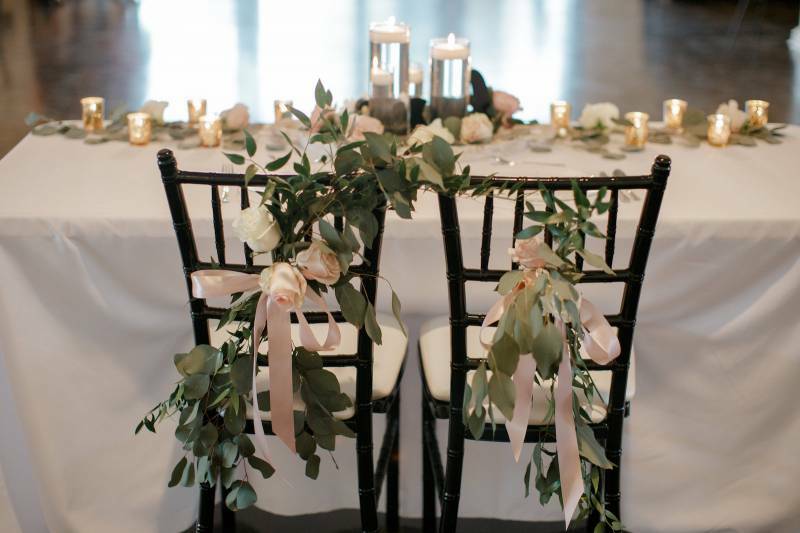 Enjoy these photos and this interview about this couple's day with Jack and Troy from T.Villager Designs! 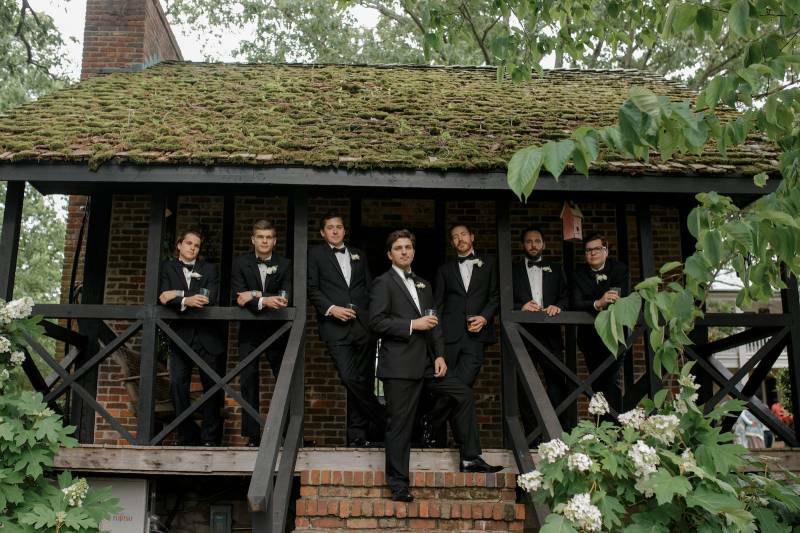 Jack and Troy, from T. Villager Designs: Morgan and Ryan are a couple with hearts of gold and personalities to match! 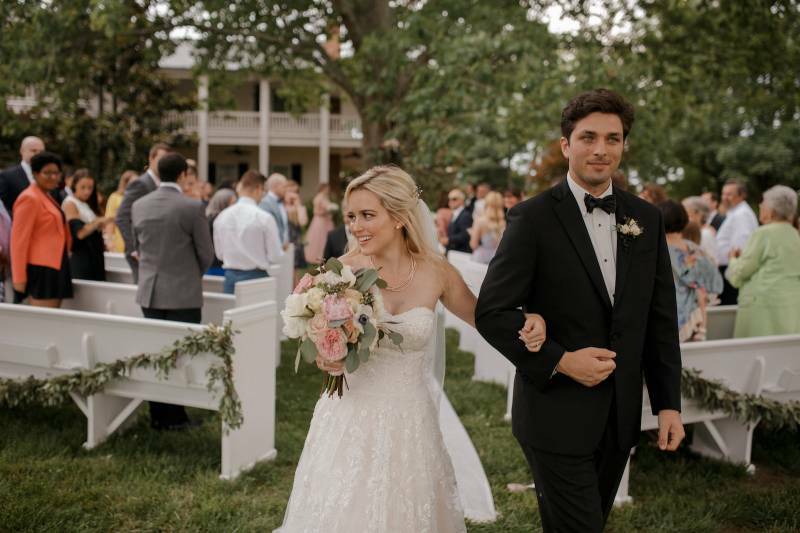 They navigated their way through and planned their wedding long distance from Arizona while Morgan was completing her medical school degree, applying for her medical residency program, and Ryan was busy with his job in engineering. 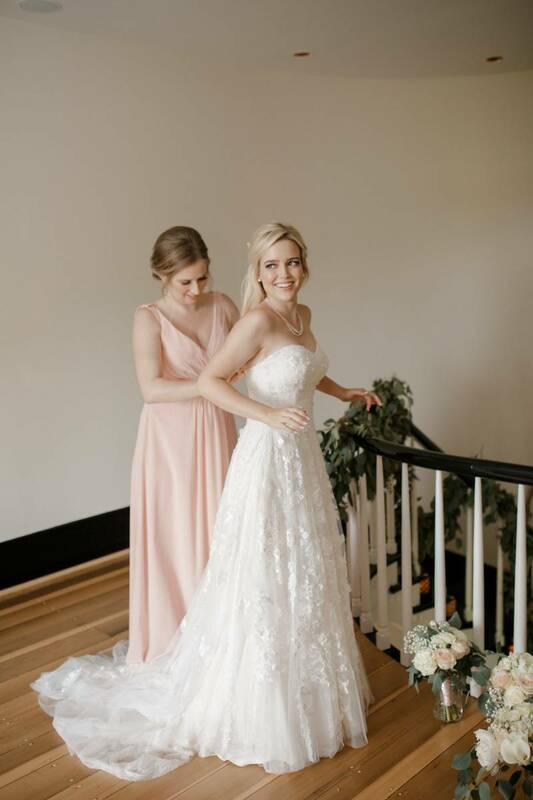 They were also planning their move to Baltimore upon Morgan's acceptance to her residency program at Johns Hopkins Medical Center. 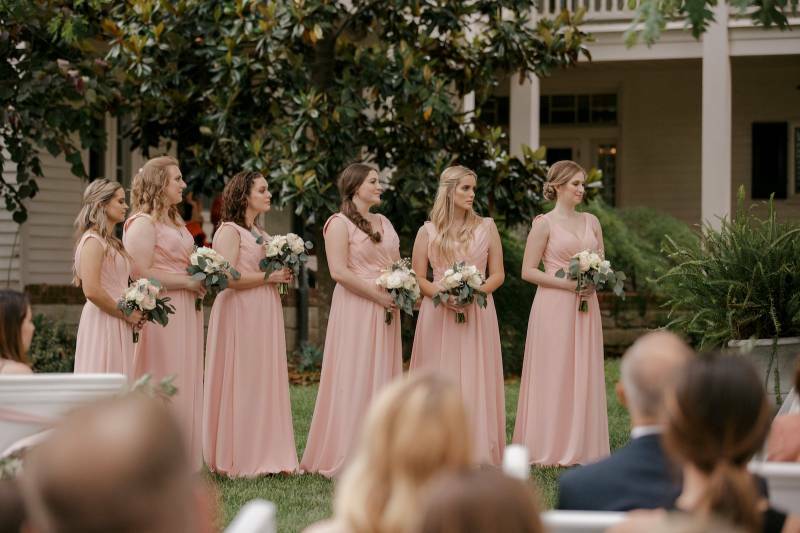 That was an amazing feat and we were so happy to help them out with flowers as part of their wedding planning. 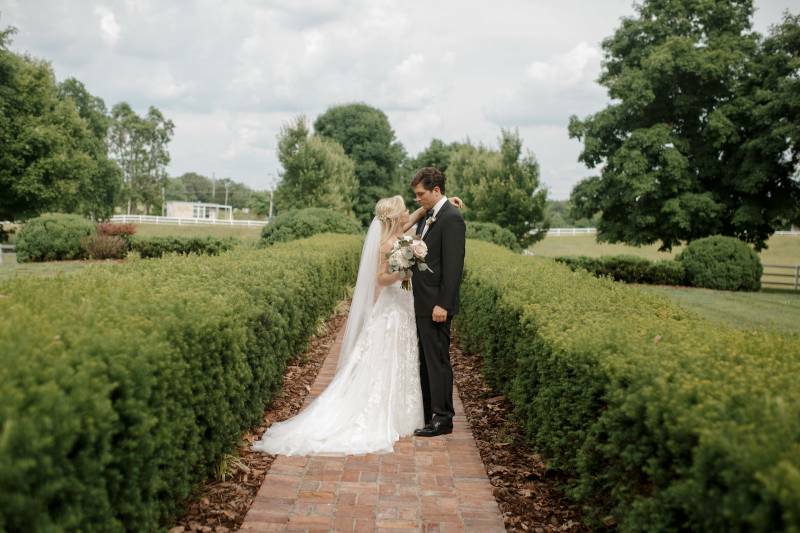 Morgan and Ryan are warm, personable and charming people with wonderful families to support them. 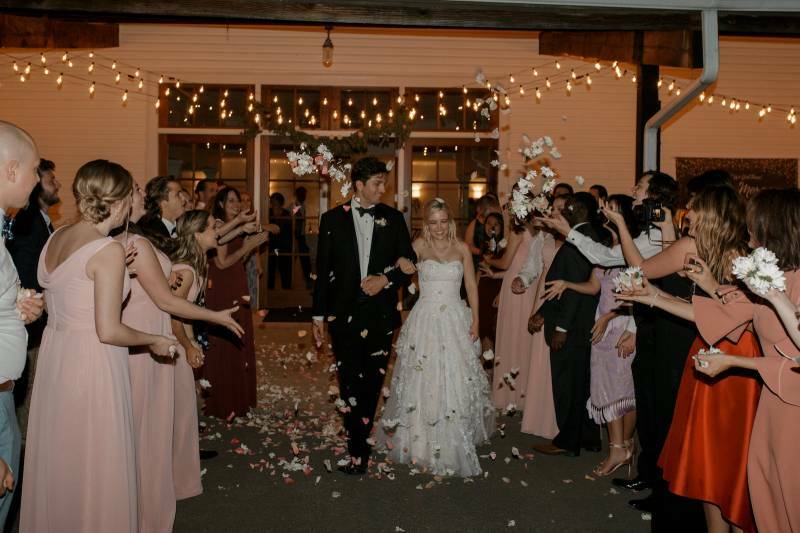 We wish them the very best in their life together as a married couple. 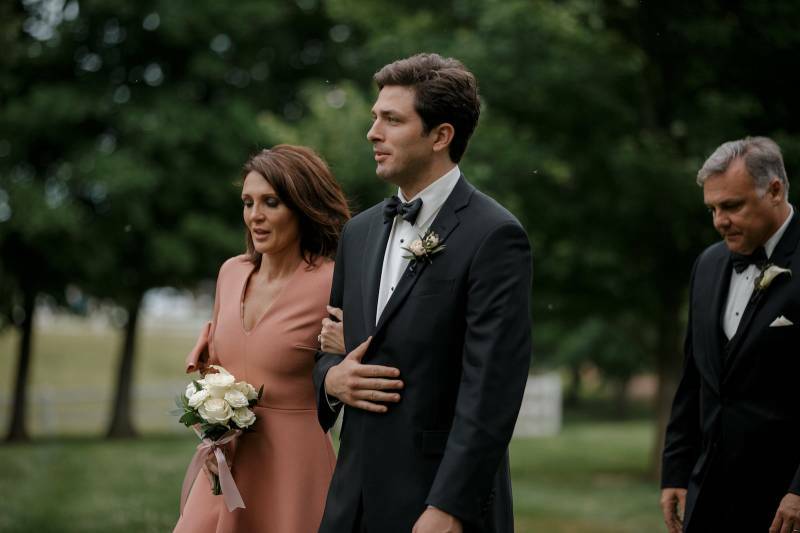 Jack and Troy, from T. Villager Designs: With classic romance as the theme, the setting of The Adalea created the perfect background to the story for the day. 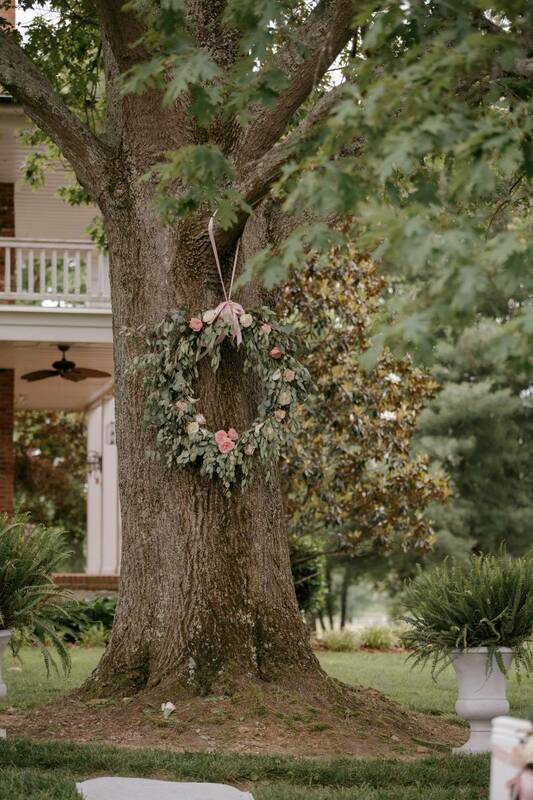 A beautiful historic home surrounded by gorgeous land with large trees, rolling fields, wonderful white wooden fencing and beautiful horses grazing in the fields brought just the elegance needed to set the tone for classic romance. 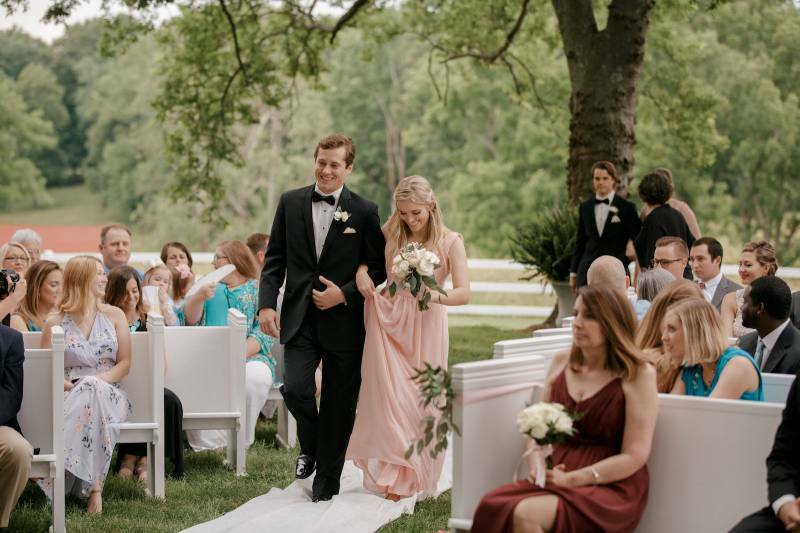 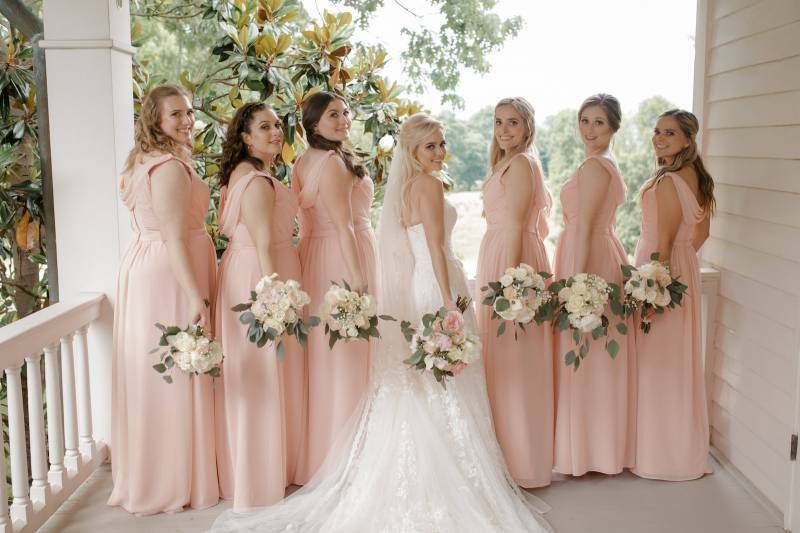 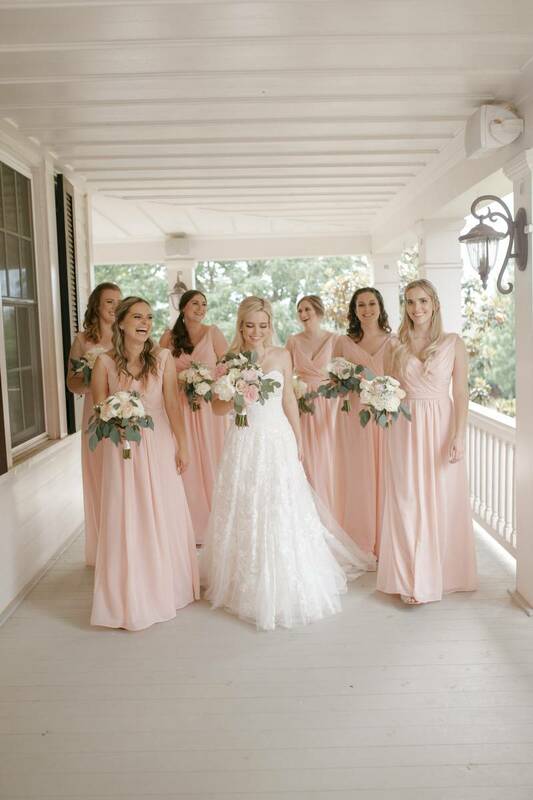 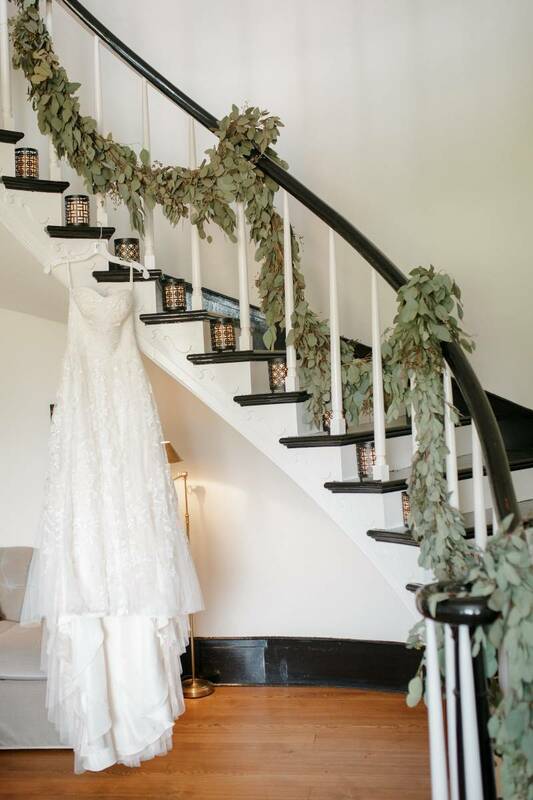 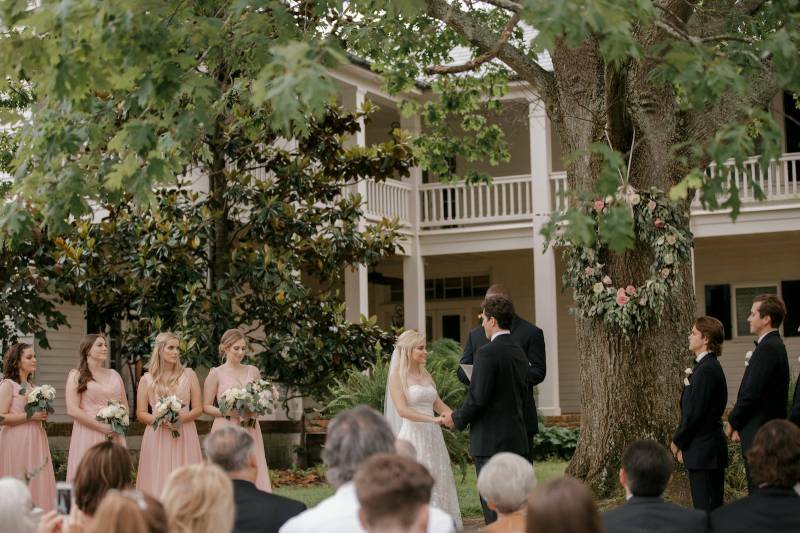 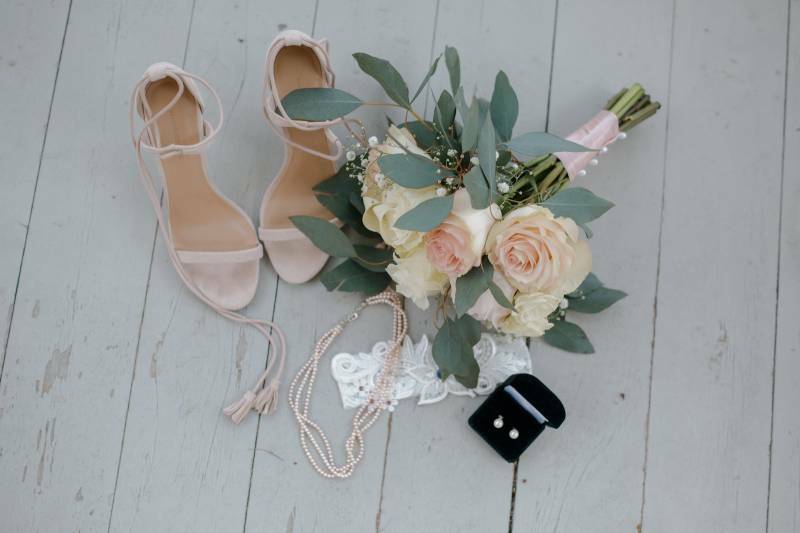 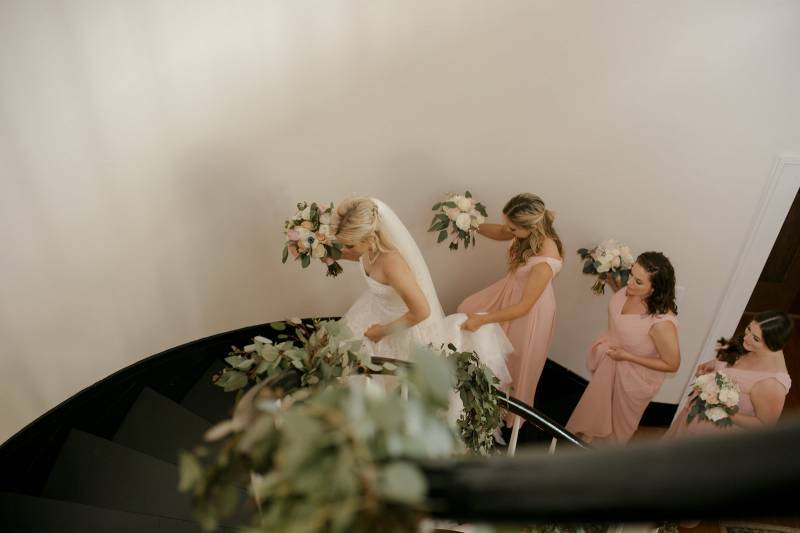 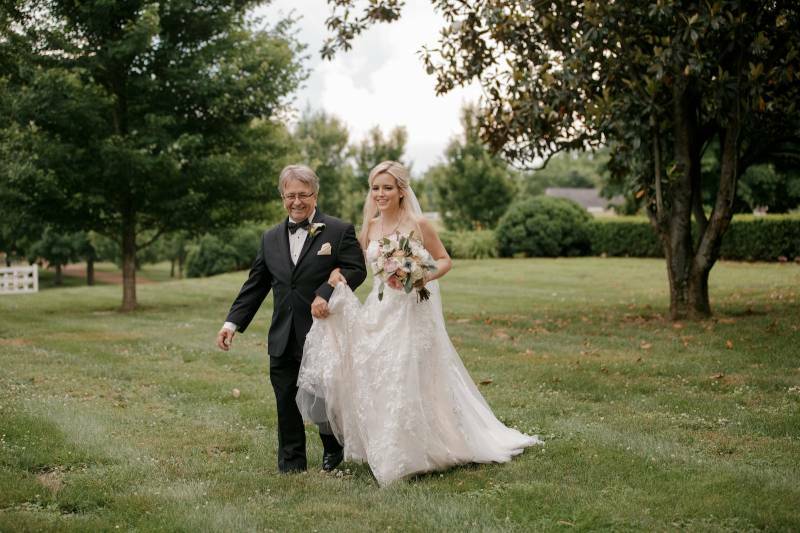 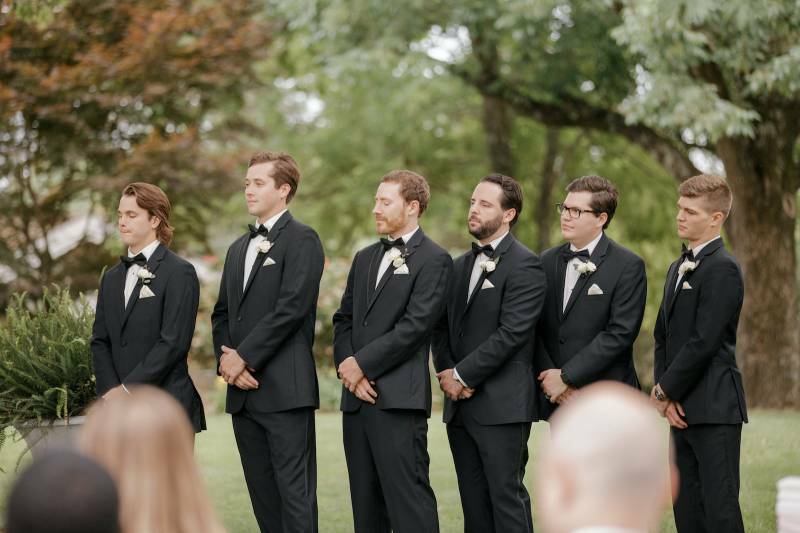 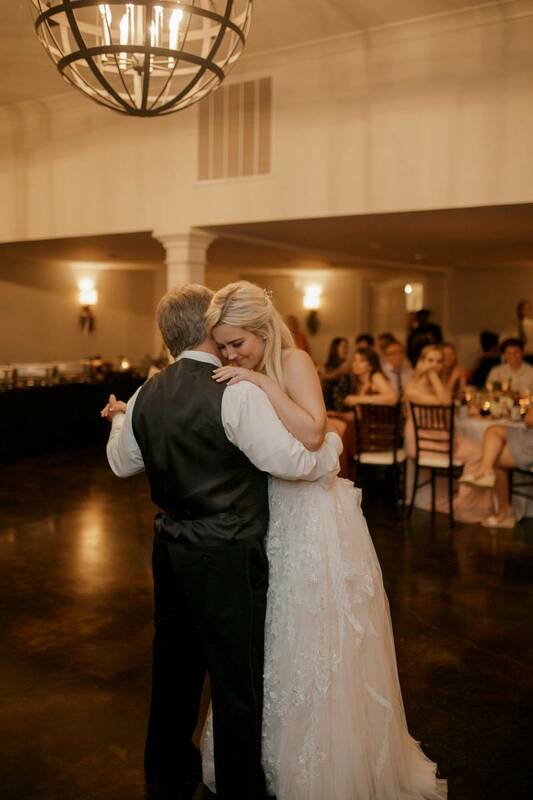 From Morgan's walk down the winding staircase inside the home to go outside to the ceremony under a large oak shade tree on the lawn, everything felt warm, loving and relaxed. 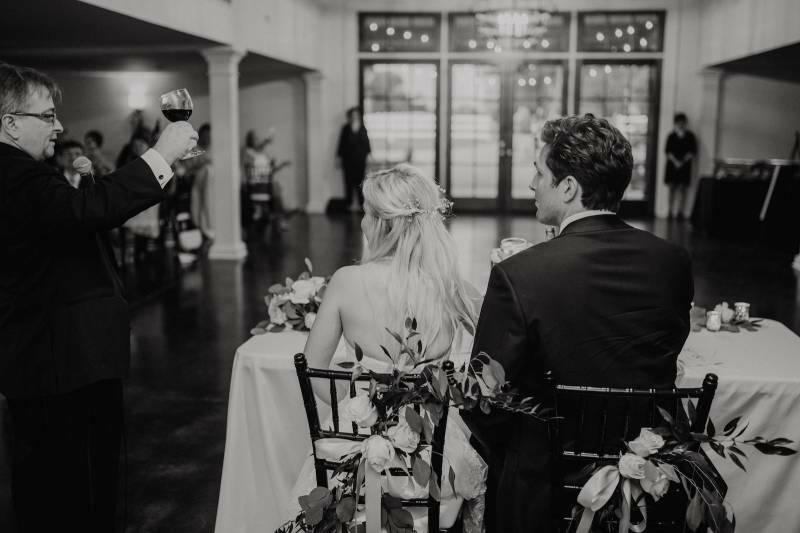 Jack and Troy, from T. Villager Designs: There were many and memorable moments from the wedding day and even before that. 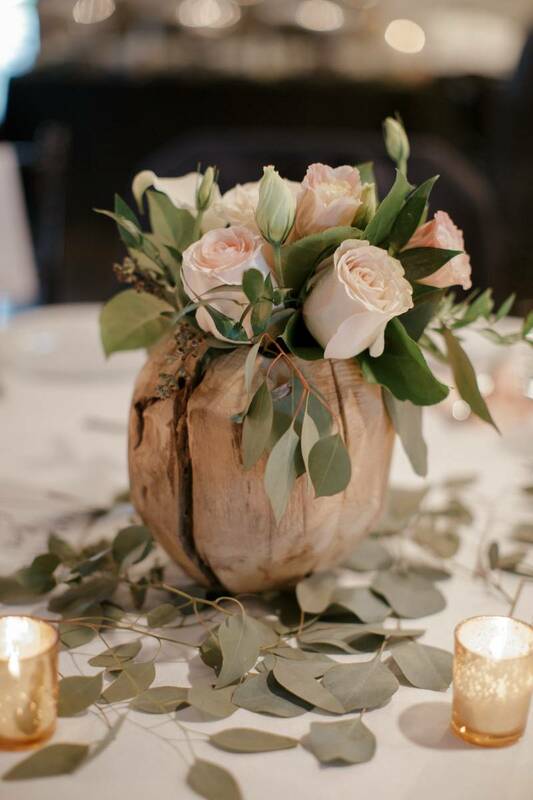 From the first meeting with Morgan, Ryan and the family on the planning of their wedding flowers it was evident this is a special couple and a special family. 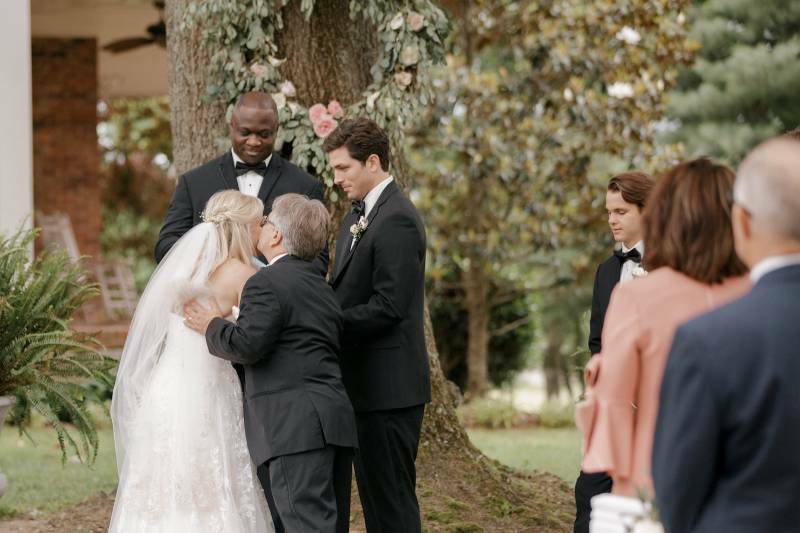 The entire family exuded warmth, charm and sense of humor that can only bring lots of smiles and laughter. 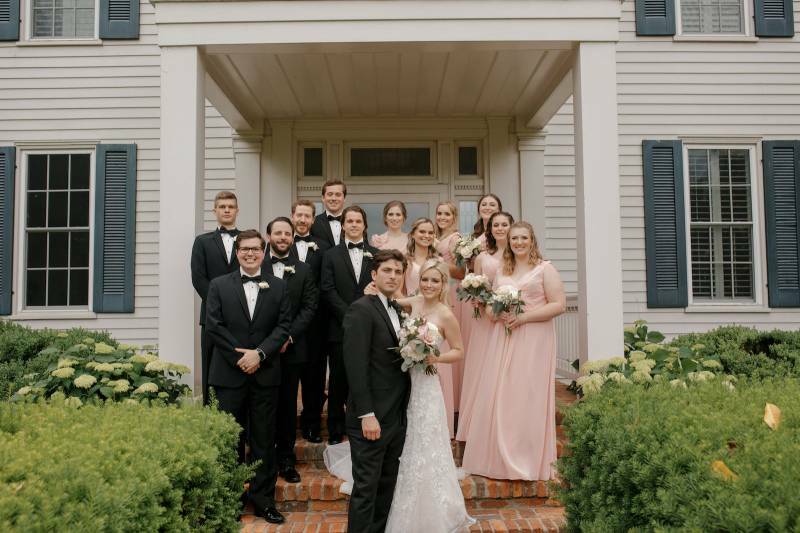 It was like we all had known each other for a long, long time. 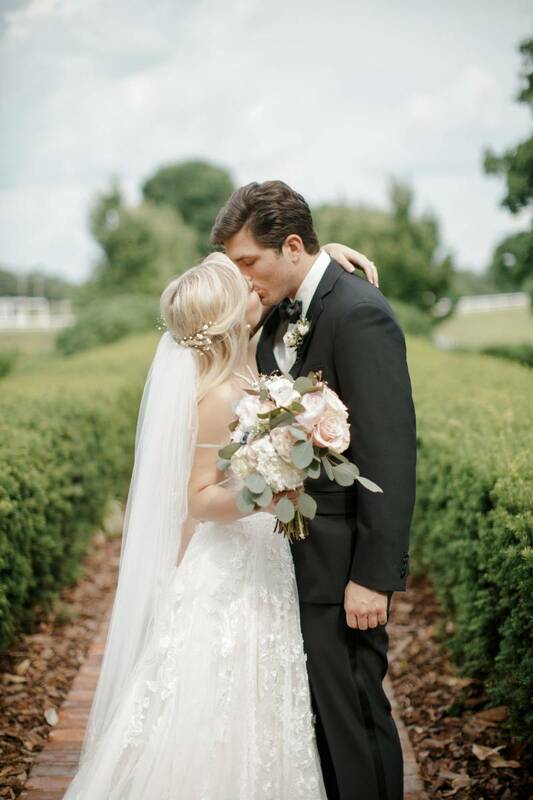 Huge thank you to Jack and Troy from T.Villager Designs for sharing Morgan and Ryan's wedding at The Adalea! 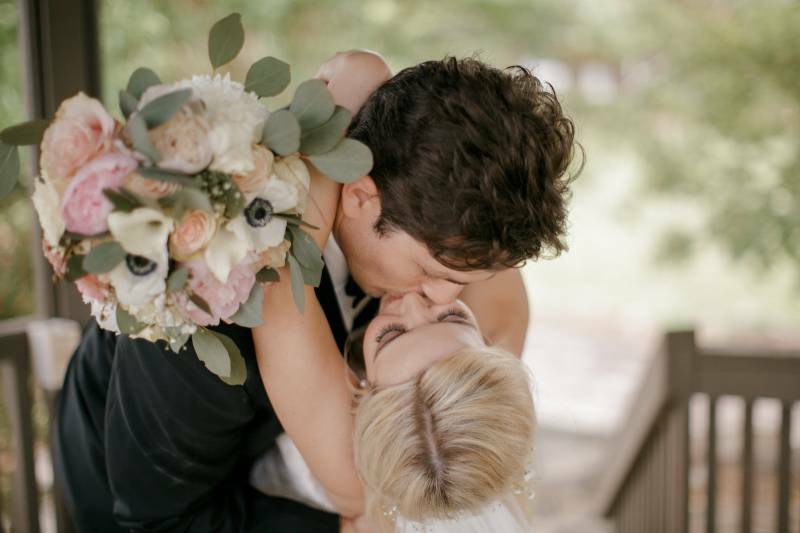 All of the wedding flowers and floral decor and details added the perfect romance factor to this timeless wedding!